(Newser) – James Murdoch’s testimony to members of Parliament on the tabloid scandal is again being challenged, this time by two former News International executives. 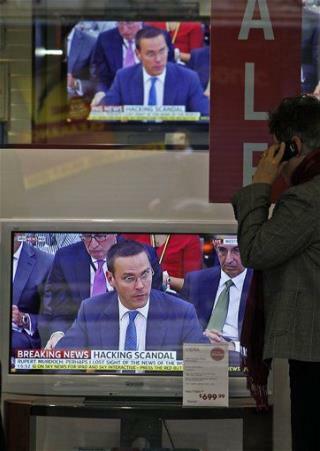 An ex-News of the World editor and another exec say that contrary to what the younger Murdoch testified, they “did inform” him of an email that pointed to the wider extent of phone hacking, the BBC reports. Murdoch had said he wasn’t “aware” of the email, which indicated that the hacking went beyond the activities of one “rogue” journalist.